Barceloneta is one of the best neighborhoods in Barcelona to enjoy freshly-caught seafood due to its proximity to the sea and its plethora of seafood restaurants. It’s also a great place to stay in Barcelona to be near the coast, learn the culture, and see a different side of the city. Walking through the streets, especially near the coast, you will be greeted with the smells of fried fish, seafood paella, and other delicacies from the sea. Here are some restaurants you should try when you’re hungry for something fishy in Barceloneta. 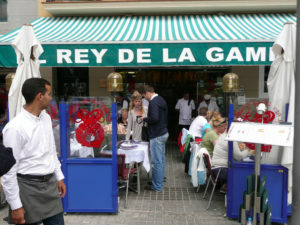 El Rey de la Gamba has been a staple on Passeig de Joan de Borbó since 1972. This restaurant is famous for its parrilladas, or huge platters of assorted grilled fish. The menu says this heaping platter is made for 2 people to share but it can easily be split by 4. All of the grilled fish is delicious, including hake, cuttlefish, shrimp, and assorted shellfish. In addition to the parrilladas, El Rey de la Gamba serves a mouth-watering seafood paella, loaded up with all kinds of treasures from the sea. 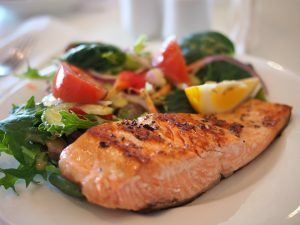 Other specialties are fried calamari, steamed mussels, and grilled sardines. Everything is moderately priced and the portions are huge, so you are definitely getting your money’s worth in this restaurant. Can Majó has a prime location on the coast on Almirall Aixada, where it was established as a family-run restaurant in 1968. This restaurant uses the freshest ingredients possible from the sea and the surrounding areas to create traditional Catalan seafood dishes. The house specialty is rice with lobster, a family recipe that has been used since before the restaurant even opened. Almost any fish or shellfish that you can think of is served at this restaurant in a variety of preparations such as baked, fried, steamed, or cooked with rice. This restaurant is a must for a high-quality seafood meal. Near Port Vell, on Carrer de l’Escar, is Restaurant Barceloneta which is a neighborhood favorite. 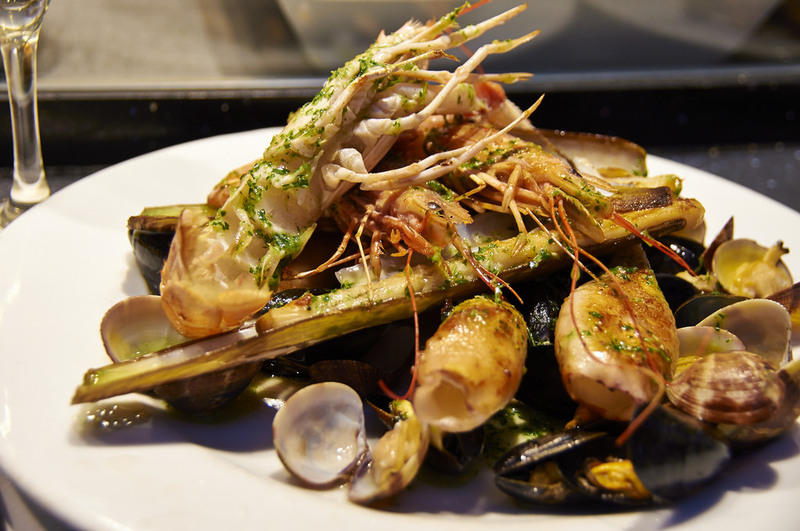 Since 1996, Restaurant Barceloneta has been serving prime-quality seafood and meat dishes, bursting with flavor. 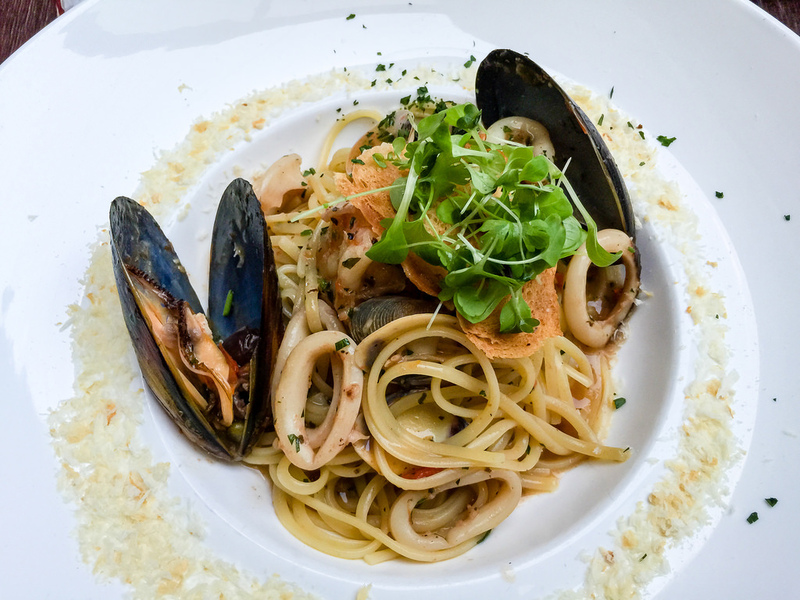 This restaurant is a bit more expensive but is the perfect place to have a meal for a special occasion with its unbeatable views of the sea and delicious food. Be sure to make a reservation ahead of time since this place fills up fast. Ria de Vigo on Carrer de Sevilla is a seafood restaurant that serves up fresh fish and shellfish Galician-style, so their dishes and flavors are a bit different and more unique than other restaurants in the area. You must try the octopus served with olive oil and paprika to start your meal as it is a Galician specialty that shouldn’t be missed. Ria de Vigo lists many rice dishes served with shellfish that are all quite good, in addition to many varieties of baked and grilled fish. After your meal, you can take a stroll along the beach to help you digest your food while you take in the views.